The 2019 Iowa legislative session starts later this morning, with Republicans in control of the debate agenda for the third consecutive year. Republican Governor Kim Reynolds was just elected to a full, four-year term and Republicans won a majority of seats in the Iowa House and Senate. Senate Republican Leader Jack Whitver of Ankeny said the GOP accomplished a lot over the past two years and they must keep challenging the “status quo” on a variety of fronts. “Just because it’s been done a certain way for 20 or 30 or 40 years doesn’t mean it needs to be done the that way for the next 20 or 30 or 40 years,” Whitver said during a forum organized by The Associated Press. Three new Republican senators will be sworn into office today and Republicans will occupy 32 of the 50 seats in the state senate. Republicans will hold 54 of the 100 seats in the House. A dozen Democrats and 10 Republicans will be sworn in as new members there. 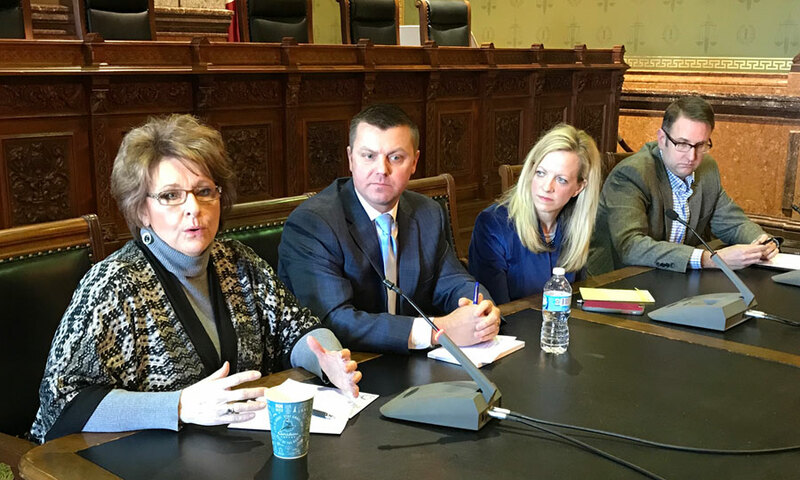 Republican House Speaker Linda Upmeyer of Clear Lake has appointed new committee leaders for the 2019 session. Todd Prichard of Charles City. the new House Minority Leader, indicated he and other Democrats consider increased state spending on public schools to be the big priority for 2019. Senate Democratic Leader Janet Petersen of Des Moines anticipates more clashes over the private “managed care organizations” that are running the state’s Medicaid program. “If we continue to see Iowans shoved to the back of the line, putting out-of-state corporations like the MCOs first…we will be loud and fierce in our opposition,” Petersen told reporters at the AP forum. The House and Senate will begin their day at 10 o’clock. A special committee will be appointed in the House to begin reviewing the challenge of a northeast Iowa legislative race. Democrat Kayla Koether of Decorah is asking that absentee ballots without a postmark that were mailed in time be counted. About a month ago, Republican Representative Michael Bergen of Dorchester was certified the winner in the race – by a nine-vote margin.